Gone are the days of cheap and cheerful key chains, caps and T-shirts. Welcome to the truly chic, covetable items from luxury carmakers. 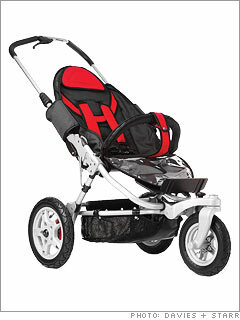 Trust Porsche to engineer a clever, easy-to-fold baby mover -- with pneumatic tires and Carrera S rims for a high-performance ride.